Scottscope: Bullets Fly in the Jungle and Bottles Fly in the Club on this Week's Scottscope Podcast! Bullets Fly in the Jungle and Bottles Fly in the Club on this Week's Scottscope Podcast! Bottles fly in the club while bullets fly in the jungle on this week’s Scottscope Podcast! The Scottscope Roundtable takes a look at the recent altercation between Chris Brown and Drake at the W.i.P nightclub in New York City. Did Drake actually start the fight? Will C. Breezy ever get a handle on that funky temper of his, and where does Rihanna fit into all of this? We also discuss the bullet-riddled and blood soaked international trailer for Django Unchained. Is it disrespectful for a revenge flick to use slavery as a backdrop? Does Quentin Tarantino have a right to such a film? Last but not least, we celebrate the 25th Anniversary of Predator, one of the greatest action films ever made. Is there a hidden racial subtext? 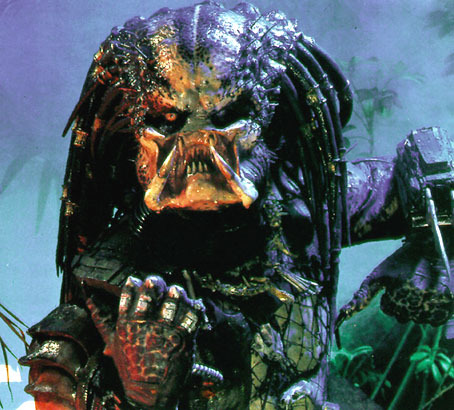 What do the Predator’s dreadlocks symbolize, and where does this movie rank in Arnold’s filmography? These questions and more will be answered on this week’s edition of Scottscope! As always, you can join us by clicking over to http://www.blogtalkradio.com/scottscope/2012/06/19/breezy-and-drake-throw-bottles-while-django-throws-lead or calling us at (347) 215-7756. With each podcast, Scottscope is further refining its format. Things will only get better from here. Be part of the revolution. Your presence isn't only requested, it's mandatory!